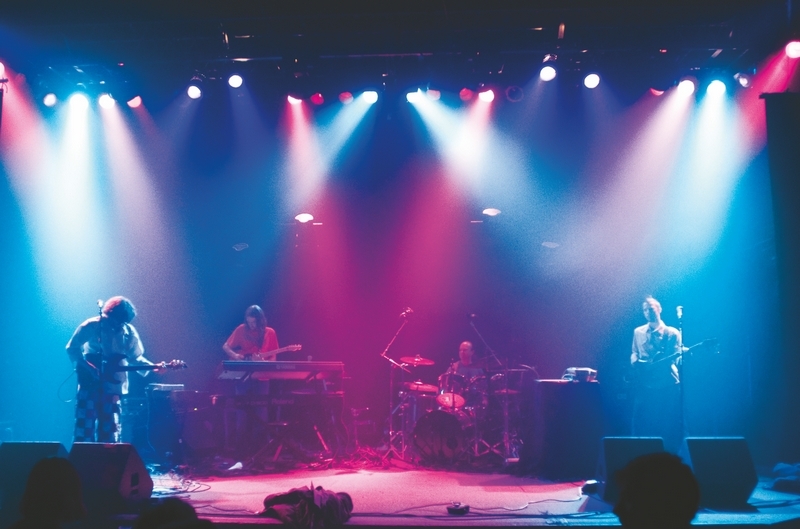 Homegrown electro-fusion rock charges the Silverthorne Pavilion May 1. Both Yamn and Big Richard hail from Colorado. The core members of Big Richard have been performing in various outfits, including Summit County’s Promethean Monk and Rhythm Pig. But when lead singer and guitarist Matty Bauerle joined in, he added a Southern rock influence to the predominately progressive rock sound. The six-piece band formed a year ago, and they’ve been creating a buzz with their tight rhythm section and powerful lead vocals. Yamn delivers its self-proclaimed “progressive-electro-transfusion-grass-rock” with a high-energy, sonic explosion. The musicians met in 2006 in Breckenridge and have created a significant word-of-mouth following with their jams. Now they blast out a full-blown rock-show experience, incorporating reggae beats and trance-fusion jams. “With the help of our great fans, Yamn shows have become a place to shed all inhibitions and just have a good time,” said Brian Hamilton, guitarist and vocalist. The band released its self-titled debut album in November, and a month later it was named New Groove of the Month on Jambands.com. The musicians recorded the album after selling everything they owned and moving into a school bus to play throughout the western United States (they hung out in a cabin in New Mexico for two months to rehearse before recording in Nashville). Every time Yamn takes the stage, they mix it up ” from throwing in a new song or cover to mashing up their songs or performing an entire night of theme music. And, lighting director Paul Whitehouse always keeps it fresh with his creative lighting.